Bar suitable for those in the process of losing weight - it is a delicious snack is not burdened with the consequences! The product does not have the composition of sugar or preservatives! The ideal supplement to the diet, which was appreciated the US and around the world. Many of us have problems with cut-off of 100% from sweets - understandable - to counteract this phenomenon should reach for the candy bar with a series of CarbRite Diet Bar. The product is characterized by excellent taste, while the lack of carbohydrates in the composition! You will not find a better offer, that is not enough, that will satisfy your need rozsmakowania it still will provide your body with high quality protein. However, sometimes you can kill two birds with one stone - proof of this is just the bar! 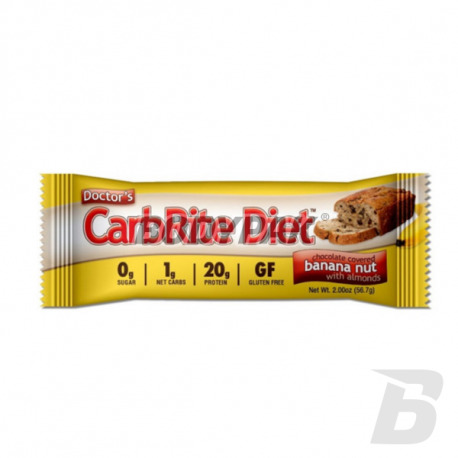 Doctor's Diet Bars Diet Bar CarbRite already conquered America. People using diet pass on to our bars and regret only that it does not already done so. Perhaps you do about it is still not known. Can you eat your candy bars for so long, they do not even know how it should taste good baton. Do such bars really exist? Definitely yes. Most people who are first to try the candy bar is skeptical. However, when it already try, they can not believe that the bar low in carbohydrates can taste so good. 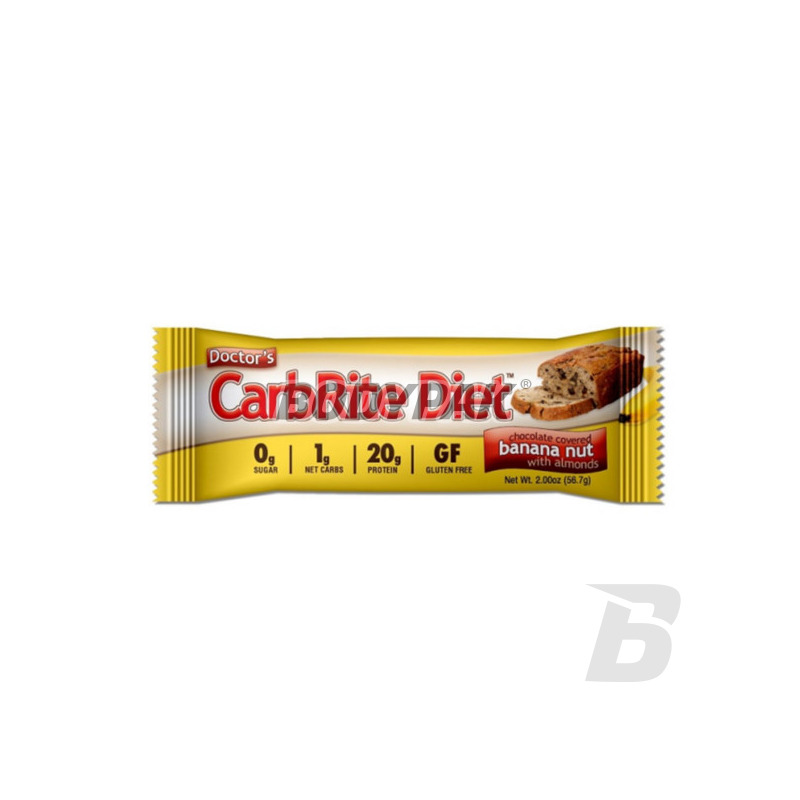 So good that bars Doctor's Diet CarbRite receive the highest rating on the website dedicated to products with low carb. So well that many people compare it to the sweet bars with full sugar content. Regardless of which bar low carbohydrate given them so far, the time to change. Tasty change from the saliva itself will flow into you mouth! Ingredients: Soy Protein , Whey Protein Concentrate , Chocolate without sugar (toppings) (maltitol, cocoa butter, chocolate liqueur, sodium caseinate, milk, soy lecithin < Maltitol syrup, water, hydrolysed proteins, polydextrose, peanut butter, peanut butter, nutty aroma, sodium chloride, almonds.